The hotel is located on the opposite of Rotterdam The Hague Airport terminal and offers paid private parking. Rotterdam City Centre is easily accessible with public transports. Enjoy our trendy rooms with free WIFI. The ibis budget Rotterdam The Hague airport is located a stone throw away from the airport terminal and easy to get to by car and public transport. Relax in the trendy ibis budget rooms with free WIFI and a comfortable separate bathroom. Enjoy our afforda ble all-you-can-eat breakfast buffet overlooking the airport terminal. Every 20 minutes, there is a bus bringing you to the vibrant city centre of Rotterdam and there are parking facilities in front of the hotel. 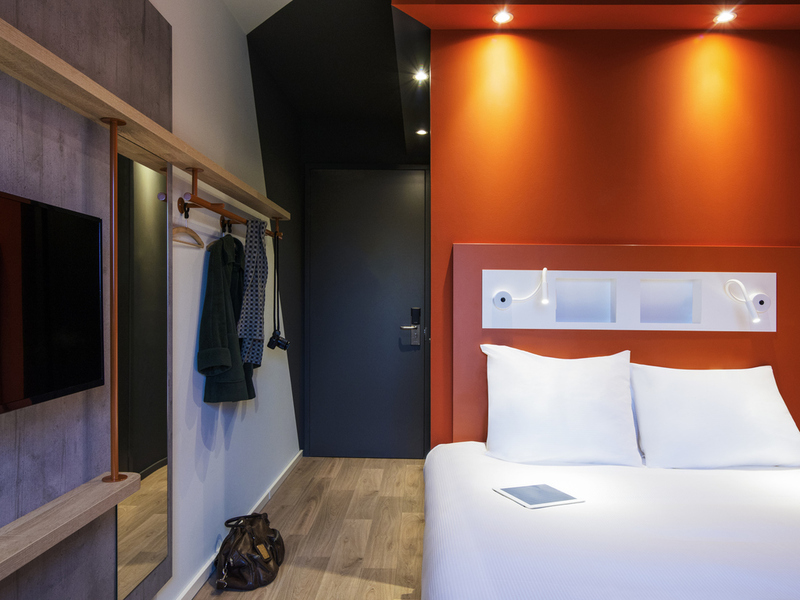 ibis budget Rotterdam The Hague Airport is ideally located at Rotterdam The Hague Airport and next to the business district. Public transport is just arround the corner, making it quick and easy to get in to the city centre of Rotterdam. Come and stay in the newest type of ibis budget rooms and discover what is feels like to cocoon. With a comfortable Sweet Bed by ibis, a flat screen TV, free WIFI and a separate bathroom, you will be disappointed to leave again. In our Lounge, we are happy to serve you a well deserved drink!